B -118, Mangal Marg, Bapu Nagar Jaipur, Rajasthan - 302015, India. 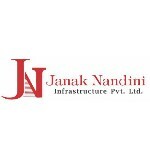 A fast emerging real estate group, with a scintillating and meteoric rise in the realty arena, Janak Nandini’ has seen its inception by the singular zeal and dedication of Mr. Nitin Gilara & Vipul Gilara. With a definitive purpose of the two Directors, the company was conceived and structured for building affordable housing for the segment of the society, which is hard pressed and find it difficult to opt for quality yet pocket friendly housing solutions. The very first of their projects, Shree Ashrey, located at Goner, Salegrampura near Jagatpura in Jaipur, is dedicated to the lower middle and middle class segment often referred to as EWS (Economically Weaker Section). The company underlines its proclivity more for the welfare of the people and the society than being a mere profit making enterprise. The philanthropic approach is the result of the long standing traditions and philosophy of the business house. The grandfather of the Gilaras, Shri Krishan Das Gilara, started his journey as a trader of jewels but it was his belief in charity and the practice he followed that set the tradition and teaching of the house of Gilaras. One third of the income generated by the businesses is always diligently marked for cause of the poor and needy. The dictum that runs all through the generations, ‘God resides in humans and thus to serve the mankind is to serve the Lord himself’. Sold to the traditions, later his son Shri Giriraj Prasad Gilara, brought in the expansion of the traditional ‘Jadau’ Jewellery business. As a youngster, saving on his pocket money, he invested all of it to establish a company which now stands as the world famous Jewellery Brand ‘Rambhajo’. Today, Janak Nandini has lined up an array of high quality projects in group housing and land development across the state of Rajasthan.